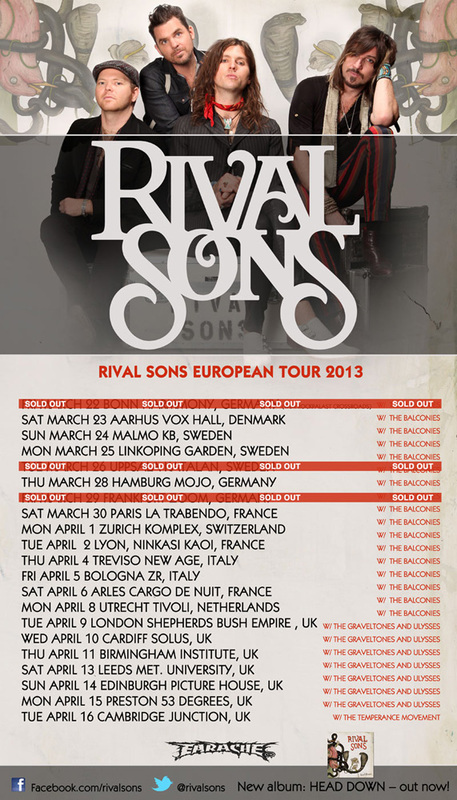 RIVAL SONS have confirmed a number of European festival appearances for this summer, including the UK's prestigious Download festival. The band kicked off a European headlining tour last week, and will return to Europe again in June for Finland's Kivenlahti Rock festival, Norway's Bergenfest and Norwegian Wood festivals, and the UK's Download festival at the legendary Donington Park. "We disappointed a lot of Scandinavian fans when we announced our current tour, totally devoid of any Norway or Finnish dates. Heck, we were actually disappointed ourselves to not be including these placed. But alas, it was all part of our master plan, as we are delighted to announce we will be playing three major Scandinavian festivals this summer: Kivenlahti Rock, Finland; Bergenfest, Bergen, Norway; and Norwegian Wood, Oslo, Norway. 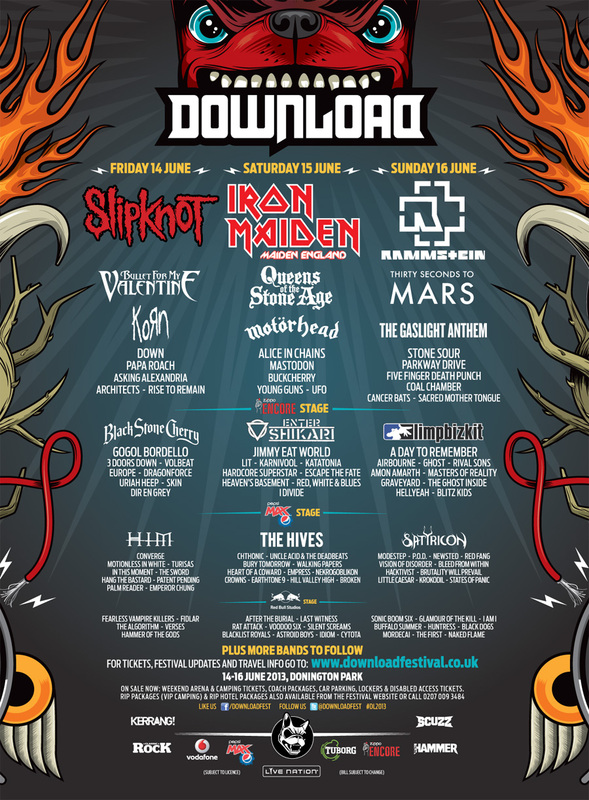 "Last year we played Download - barely - due to equipment exploding backstage, electrical fires, thieves, robbers, angry dogs, and other unforeseen problems, we only got to play about half our set. We couldn't be more delighted to announce we're coming back to play this year - and this time we'll be prepared for all hi-jinx." RIVAL SONS are releasing a special, limited edition vinyl for this year's Record Store Day. The picture disc vinyl features a live version of "Manifest Destiny Pt. 1" recorded in Gothenburg, Sweden, an acoustic version of "Manifest Destiny Pt. 2", and the full-length version of "Nava".